Insanely sophisticated traction control enables sports car 0-62 mph times on grass, snow, and gravel. The time it takes for a car to reach 62 mph from standstill is usually only relevant to those who care about performance. Manufacturers of sports cars work hard trying to get these times as low as possible using computer trickery (read: traction control), all-wheel drive drivetrains, low centers of gravity, sticky tires, and of course, a healthy helping of horsepower. However, when it comes time to test these cars to see where all of the work went towards, it’s usually carried out on the tarmac. For Land Rover, things are a bit different. That’s because, while the British SUVs are some of the best off-road vehicles on Earth, the fact that they share a bit of lineage with Jaguar means that they can be a bit sporty at times. Especially so when endowed with a 5.0-liter supercharged V8 pushing 550 horsepower. It wasn’t so long ago that Richard Hammond beat a light and powerful hatchback, the Mini Cooper John Cooper Works, around a race track using a heavy and brutish Range Rover Sport. But to show the world that the Rover can also use its power on ground that isn't paved, Land Rover has decided to set 0-62 mph times on various surfaces including mud, snow, gravel, and grass. Thanks to a sophisticated traction control system, a ballsy driver, and a complete disregard for the impending damages made to the paint job, the Rover manages some pretty impressive times. 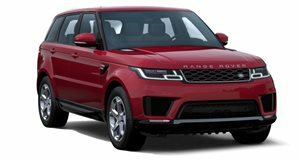 Beginning with a 4.7 second rush to 62 on tarmac, the Range Rover Sport SVR then goes onto make the same stampede to 60 in under 6 seconds on grass, gravel, and sand.